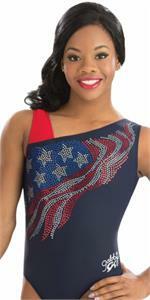 Discount Leotards is your best gymnastics leotard source. 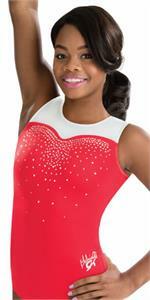 In addition to this Gabby Gabrielle Douglas Collection by GK Elite Sportswear catalog selection, we offer the complete leotard, clothing and accessories collections of GK Elite Sportswear, UA, Under Armour, Adidas, Alpha Factor Aerials, ACE, Snowflake, Motionwear, Dreamlight Activewear, Look-It Activewear, Garland Activewear, and more. We have much more than what we show online - all at discounted prices! Email us if you don't see what you are looking for! 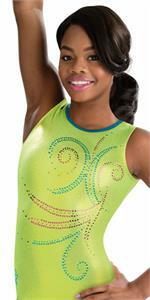 Sadly there are no current Gabby Douglas gymnastics leotard collections, but we do have some Gabrielle gym leos still in stock! Whatever is below is all we have - please see size under the picture.